Yes, you CAN take that much needed solo hike and not lose your milk supply! 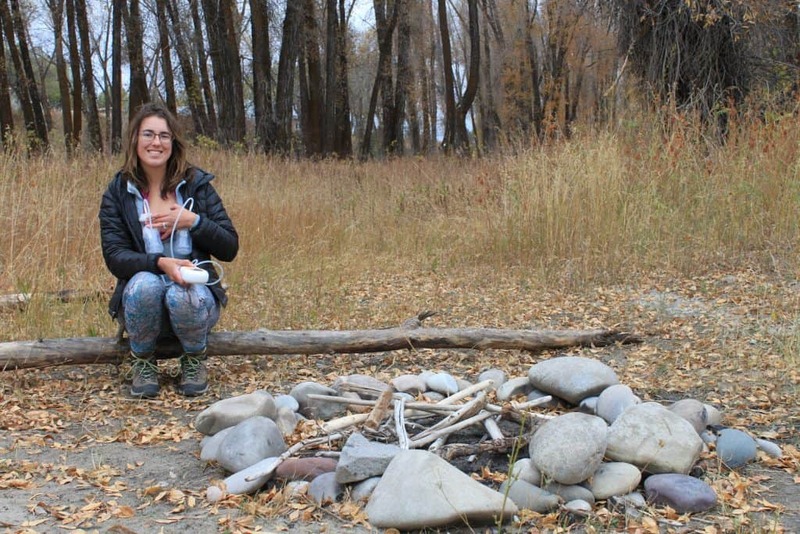 Are you ready for your first hike without the baby? For those interested, here is more information on the Motif Duo! If you’re here, then you might be wondering how you can pump while away from electricity to do the things you love such as hiking, camping or traveling! 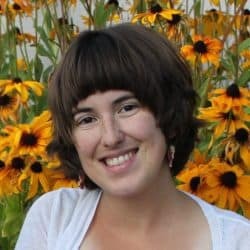 I had the same questions – breastfeeding is VERY important to me, but how would I be able to keep up my supply if I wanted to hike for a bit to get back to “me”? Was it selfish? However I was also super worried about Post Partum Depression. I know now that you sometimes cannot prevent that, no matter what you do. But the “baby blues” are pretty common, and I was also fairly scared that my breastfeeding mission would leave little time for anything else. Among common things that all moms (rightly!) complain about such as showers, good meals, sleep, and the house, for me there was hiking and getting out. While I was excited to teach my baby all about hiking and loving the outdoors, I knew I would crave that alone time where no one needed me. Time to be by myself, breathe, and walk out the frustrations I had. Then a question surfaced that really bugged me – how on earth could I be away from my baby for any longer than two hours? I needed to pump or nurse ATLEAST every two in the beginning, and if I only had two hours to be gone (it takes 45 minutes to drive to the National Park nearby) then why even bother! The pumps I had seen were massive and didn’t operate with batteries. I didn’t have an inverter installed in my car at the time, so I couldn’t even at least make it back to the trailhead to pump because I had no way to get power. I am pleased to say, however, that we did make it work! It wasn’t ideal, and there were many instances of sore breasts and clogged ducts, but three kids later it seems that the breastfeeding industry has came out with something amazing for active women! 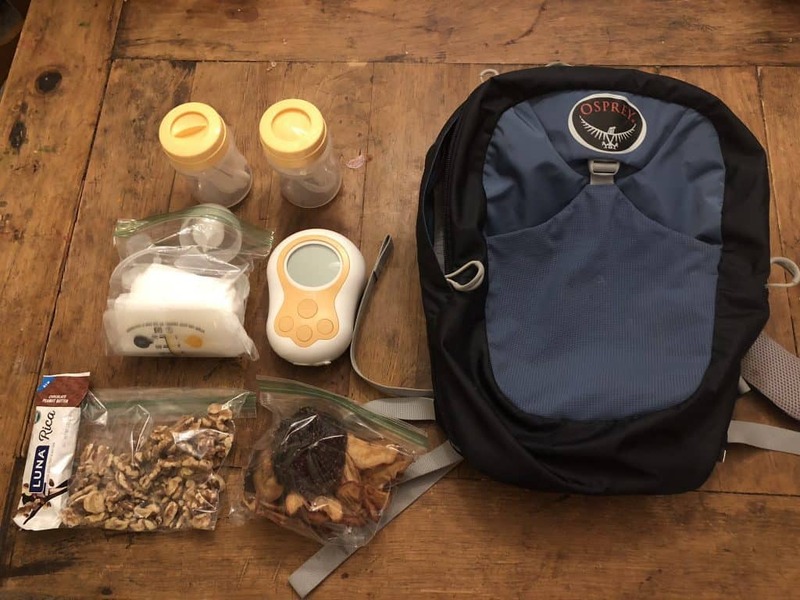 This post was sponsored by the Motif Duo, however, I will give an honest look into how this breast pump performed on the trail, as well as some practical tips on how you can get back to your adventurous (breastfeeding!) lifestyle! I also wanted you to know that I am an Amazon Associate, meaning I will get a small cut of anything you purchase through my links. Thanks! While the Motif Duo breast pump came out at the tail end of my breastfeeding journey (currently still breastfeeding my 14 month twins) it has given me the independence I needed to finally get out on the trail by myself! It feels like my supply is getting less and less by the day, so it’s even more vital to not miss a pump session! 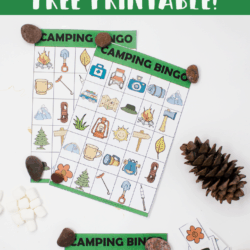 I’m going to go over some quick tips to pumping on the trail, as well as storing milk and sanitizing everything so that it’s ready to go for next time! On a MUCH needed hike without kids. It’s OK to say that you need a break from being “mama” for a little! Sometimes all the touching, screaming, and NEEDING is alot to handle. 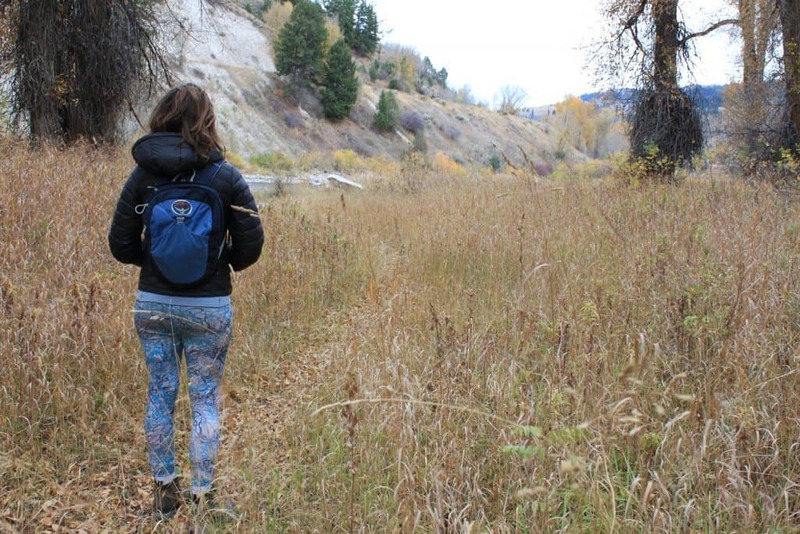 There’s no better way to reset yourself than time spent outdoors! I have breastfed three children in the past three years and used a couple of different pumps along the way. All of them were name brand, and one was even hospital grade and provided to me through insurance. Let me tell you that typical pumps can feel like a ball and chain – you have to be sitting down, have the breast shields perfectly positioned, and then hear the obnoxious whir of the darn thing for 15-30 minutes! With all this in mind, a portable, lightweight yet powerful breast pump becomes even more important to the outdoorsy mama! The Motif Duo has ALL these qualities – and best of all most insurance companies will provide this pump, and they even have a super convenient insurance lookup tool to help you apply for one! Small Size – You’ll want something small that doesn’t take up your whole pack, but that is also powerful enough to get the job done and not jeopardize your supply. Rechargeable Power Option – Another thing to pay attention are the power options available for the breast pump. Look for one that is battery powered, and even better, has a rechargable battery so that you don’t burn through five or ten dollars of batteries each time you take it with you! Compact Breast Pump Shape – Most designs stick straight out which is just really inconvenient when it comes to being discreet as well as storage. When your pump assembly sticks too far out, you may have to lift your entire shirt up so as not to mess the position of the pump up with the pressure from your shirt. Ability to Clean on the Go – While not a make a break trait, it just is alot more convenient to be able to clean all your pump parts without the need for special brushes. Not only does it make it less to remember to pack, it also makes the whole process more hygenic! When the cleaning is easier, you are more likely to clean it properly! 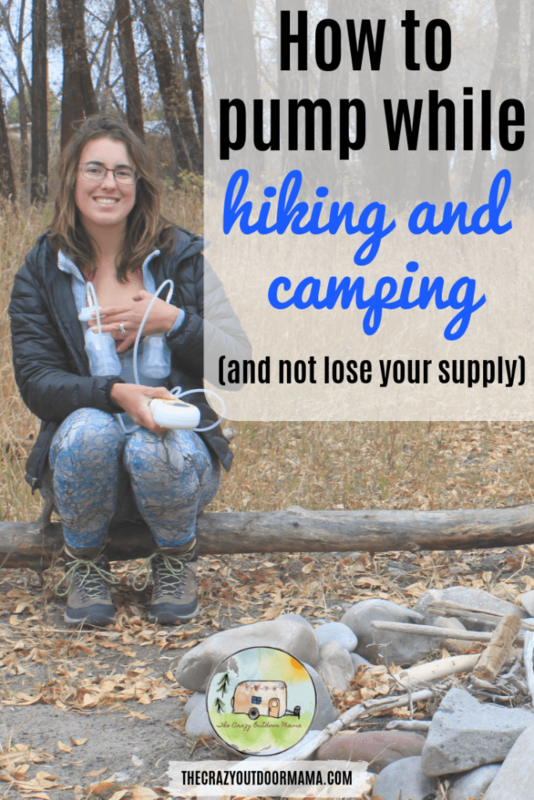 Yes, you too can pump while camping! A portable, lightweight breast pump means you can pack it anywhere with you, so there’s no limit of how long your get away can be! What’s amazing is that it’s actually NOT that much more than normal! Besides your pump, make sure to bring sanitizing wipes, milk storage bags, and a super small cooler to keep your milk in. You may also want to think about what kind of shirt you’re wearing. If you’re fine letting it all hang out, (which is cool, I’m not knockin’ it!) then you shouldn’t have any worries. However, if you feel a little more comfortable with some coverage, think about either wearing a baggier shirt or bringing a nursing cover. 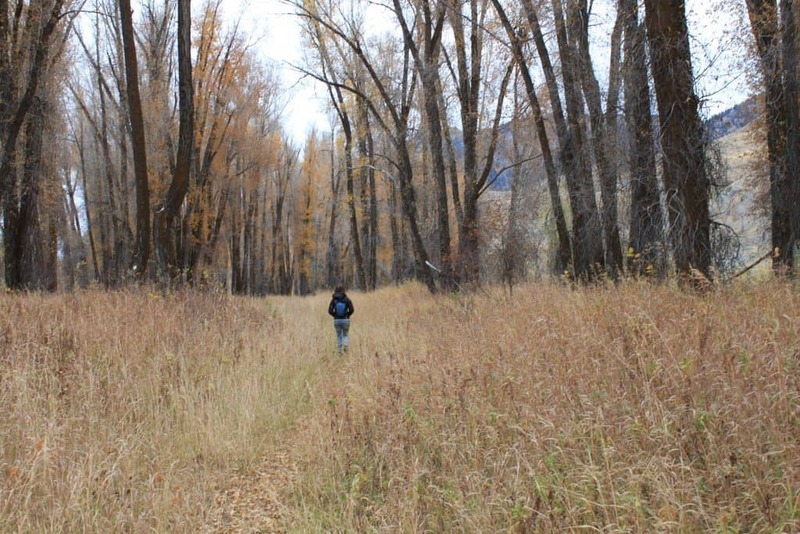 If you’re lucky enough to be hiking somewhere far out, just walk off the trail enough to a spot that no one can see you! 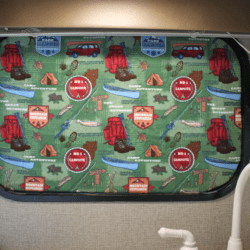 If you’re camping or traveling while pumping, you have the option to pack a beefier cooler with more ice which is perfect for extended periods of no electricity! What I typically bring on a hike with me – not pictured is a cooler bag of some sort! Bring your protein/calorie packed snack of choice plus plenty of water to keep your milk supply up despite calories and hydration used while hiking! This is pretty self-explanatory, but I just wanted to cover it in case it could help someone! 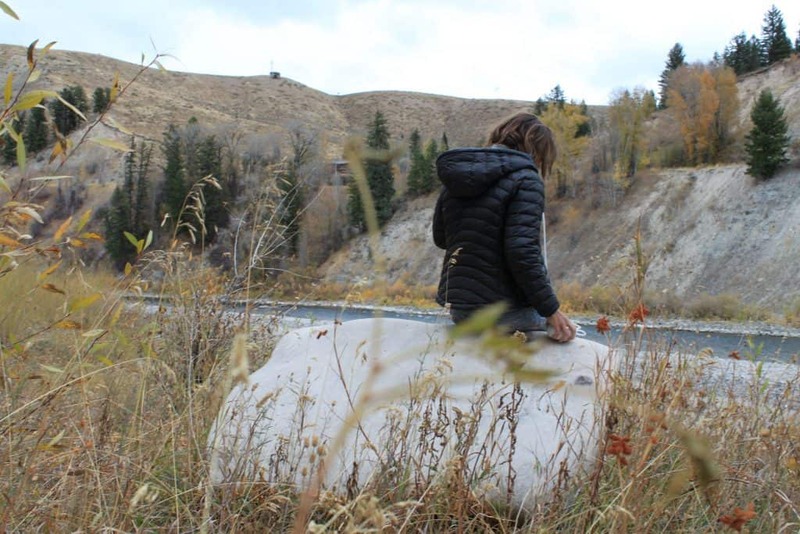 I find it easiest to pump when I’m a little off trail – I’m more relaxed when I don’t gotta worry about every person passing by, and what they might think (Not that they should care… I am woman, hear me roar!) Being more relaxed helps letdown happen faster, and us pumping mamas know how annoying it is when it takes *forever* to get the darn ball rolling! P.S. If you don’t pump often, you may also want to make sure you have a picture of your child available. Looking at pictures of your baby while nursing can aid in let down! It’s always best to remove as much milk as possible when pumping. This is because your breasts have adjusted to accommodate your babies needs, and if you don’t remove all that milk, it may send signals to your body that your baby no longer needs that amount! Now I don’t think one or two 90% session will kill your supply, but it’s just a good rule of thumb! Aim to pump as much out as you can, but don’t worry about EVERY drop – your supply won’t die out that quick if you only miss a half ounce every now and again while pumping! Pour your milk from the bottles into the breastmilk storage bags. To reduce spillage, use the breast shield (the part that goes on your breast) as a funnel into the bag! Making sure the bag is sealed tight, put it into your cooler bag next to the icey. Something that might give you peace of mind if you’re worried about it spoiling is this: Breastmilk is still good for FOUR TO SIX HOURS at room temperature! And in a cooler? AN ENTIRE DAY! So don’t throw out that liquid gold because you’re scared it’s bad! Something I did at the beginning of my breastfeeding/pumping journey was taking a VERY small taste of my milk, as well as noticing the smll, so that I could know when it went bad. However you feel about it, just know that it could help ensure your baby isn’t getting spoiled milk and might be worth a moment of uncomfortableness! Keep in mind that breastmilk is still good at room temperature for four hours, and up to a day in a cooler pack! Don’t stress about your milk spoiling! You can find more info here about this! It may be helpful to be familiar with the taste and smell of your milk as an added measure to ensure that your milk hasn’t gone bad! The easiest way to ensure everything is sanitized is just to use some sanitary wipes designed for pump parts! I really liked these (I used them at work too when I had to pump but didn’t want to kill five more minutes of my lunch break washing everything) and they are pretty reasonably priced. To reduce the number of wipes you have to use, just do a quick water rinse as soon as your done pumping. This will wash off most of the milk so that all you really have to do is a wipe down as opposed to a full clean! It’s important to make sure you wipe everything! This includes the milk collected bottle, valve, and connected. The particular breast pump I use while on the trail (Motif Duo) was designed in a way that everything is big enough to fit a finger in, so you don’t need any special brushes to clean things! This made it way easier to clean and get back to hiking! As soon as you’re done pumping, use some bottled water to rinse any residual milk off. Yes, I am a BIG advocate of bringing the kids, but it’s also nice to have some time to yourself! With a portable, lightweight pump you don’t have to worry about messing up your supply for your little get away! On the way back home after being refreshed, ready to wipe the next peanut buttery face and break up the next epic fight over cheez its! Great article, lots of helpful information for Mom’s on the go! Thanks! It definitely makes getting away for a little much easier!